Homemade Little Debbie Costume - Snack Cakes for All! Coolest Homemade Magic School Bus Costume – Go Science! 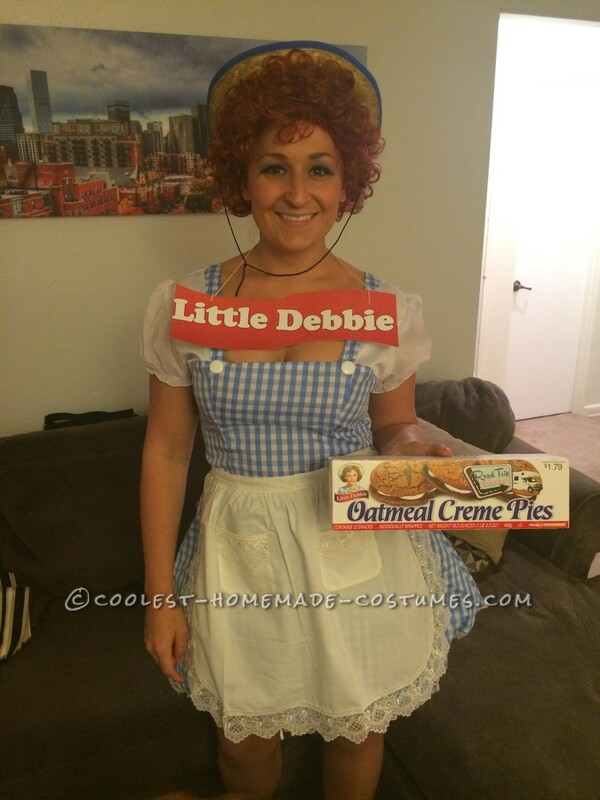 Homemade Little Debbie Costume – Snack Cakes for All! Who doesn’t love Little Debbie snack cakes? NO ONE! Which one is your favorite? P.S. There a TON to pick from! My personal favorites are a tight competition between Oatmeal Cream Pies and Starcrunch! When chatting at work one day with a friend she divulged her “dirty secret” that she hides boxes of Oatmeal Cream Pies and eats them in her car. Grocery shopping after work that day, I was compelled to buy a box of these glorious treats. As I was stuffing my face with the snacks (they seem much smaller than when I was in 8th grade) I started looking at the box and my costume idea was born… Little Debbie! Being out and about was really fun… as EVERYONE knows Little Debbie! I don’t have a good picture but I had a bright pink cupcake shaped backpack filled with Oatmeal Cream Pies and Starcrunchs… SNACK CAKES FOR ALL! !